Portrait of Katherine Parr Sixth Wife of Henry VIII as a “Young Widow”. Coat of arms from L to R: Sir John Neville, 3rd Baron Latimer of Snape with the Parr coat of arms; Royal arms of Queen Katherine Parr; the last coat of arms are of Katherine’s last husband, Sir Thomas Seymour with one part of her own royal coat of arms as Queen (Tudor Roses), now Queen Dowager. 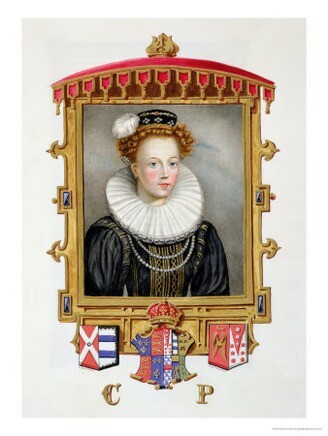 By Sarah Countess Of Essex.